I am wiped. I feel like the vehicle in my subject heading has just slammed into me, turning my insides to Jell-O. I really, really, really don’t want to get up tomorrow for my run. 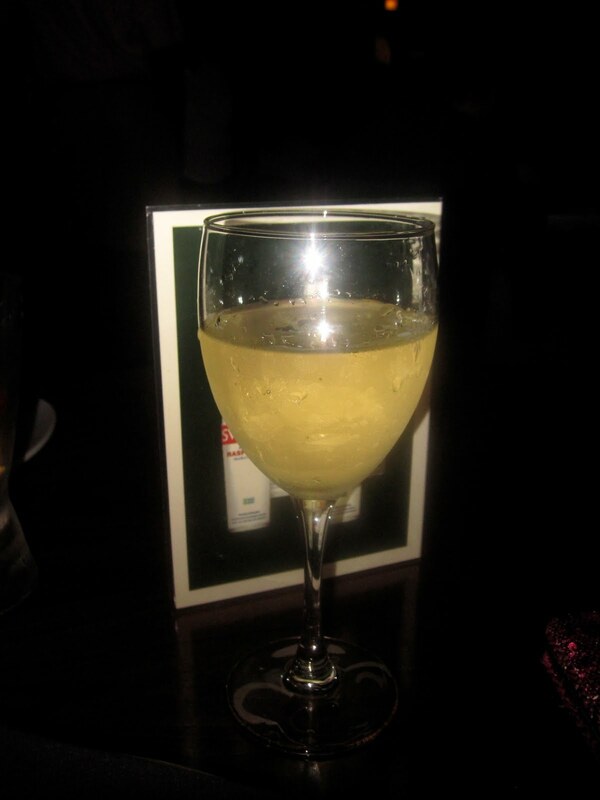 But first, I must fill you in on my festivities last night! Last night I went to Mohegan Sun to celebrate a very special occasion. 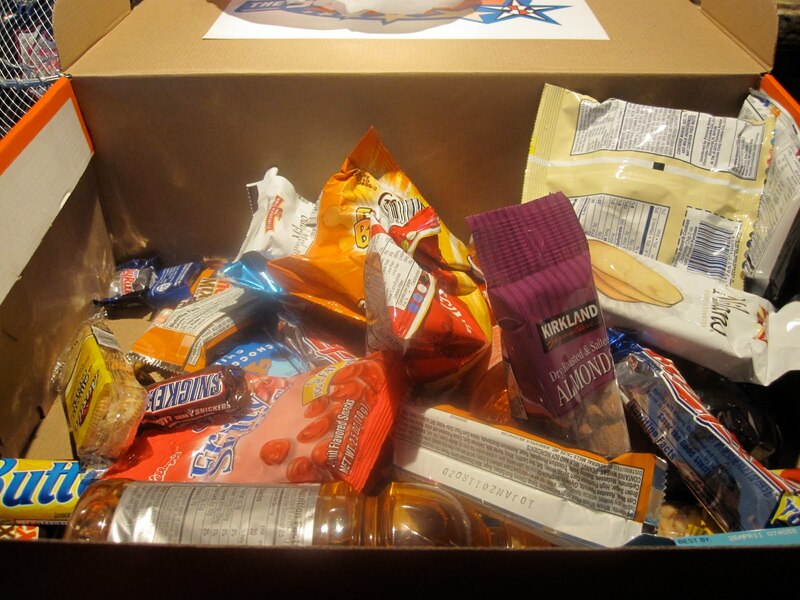 Because of the nature of the event, my parents were presented with a goody bag filled with snacks and treats. 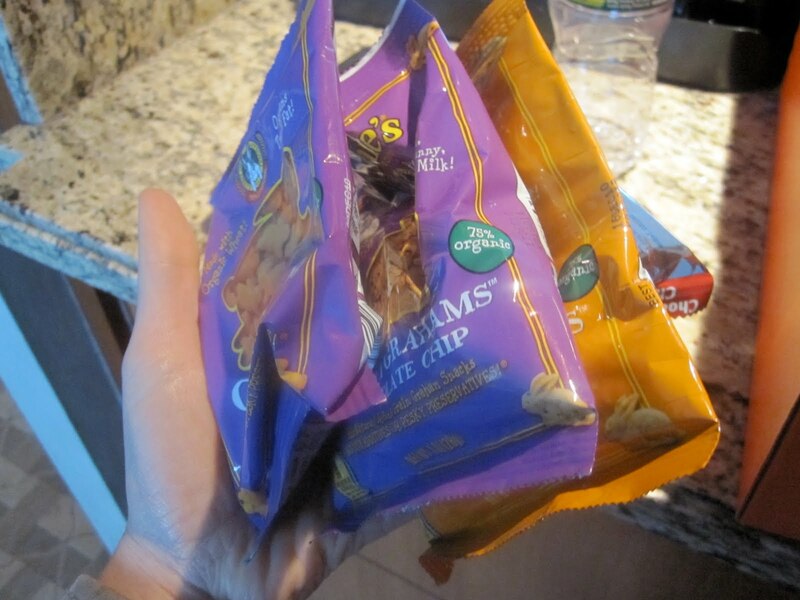 I managed to snag three Annie’s Bunnies single serving packs, along with a bunch of Quaker Granola Bars. After dinner (a salad with buffalo chicken), we headed to a reception room where we were presented with the best dessert table I think I’ve ever seen! 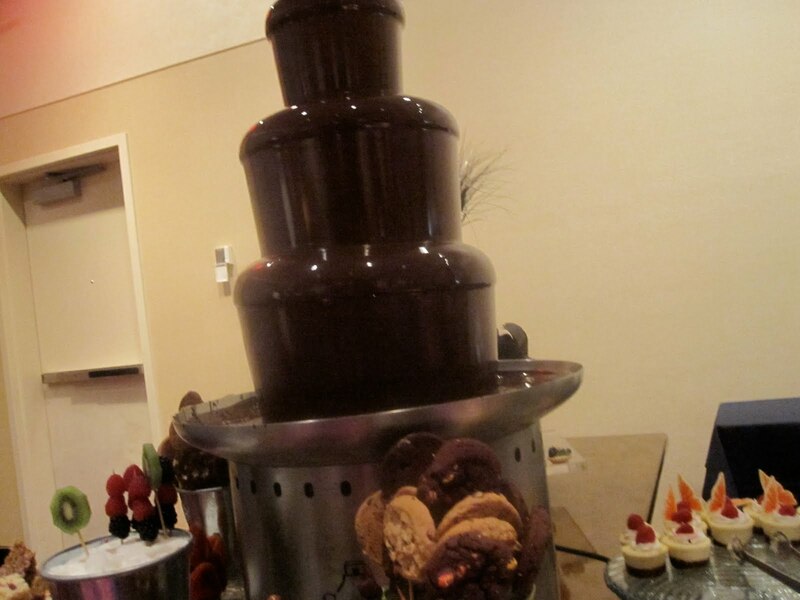 Chocolate Fondue Fountain. The most beautiful words in the English language. I managed to be good and only had that kiwi slice dipped into the rich liquid. I was saving my appetite for this baby: Whoopie Pie Sandwich with Peanut Butter Ice Cream. 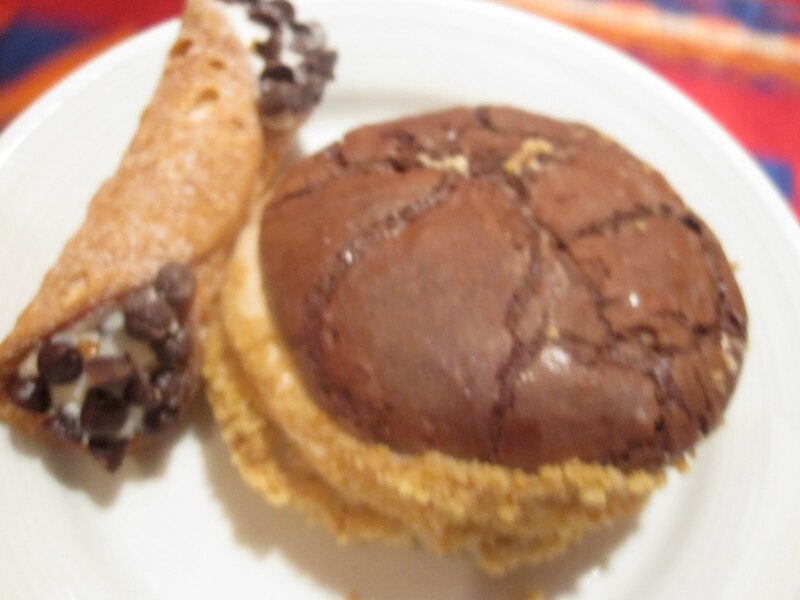 Along with a cannoli I swiped for my sister, but it went uneaten. I ate about half of this moist, gooey, amazing dessert. Possibly one of the best I’ve ever had. I also had a very, very tiny cupcake and a mint chocolate truffle ball, along with some fruit from the fondue stand (not dipped!). Afterwards, I had a cup of decaf coffee to cleanse my palate. 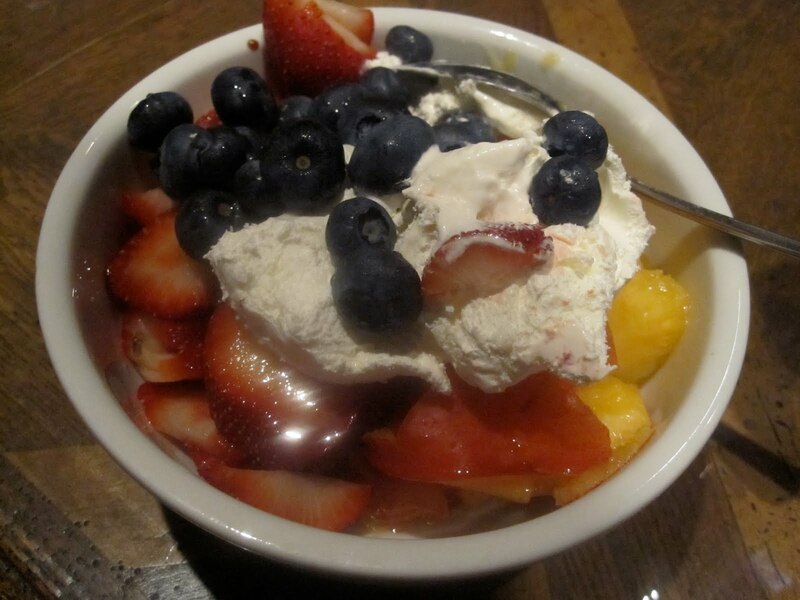 All in all, I satisfied my raging sweet tooth but I did not go to bed stuffed. I am extremely proud of myself; usually when I see huge displays of dessert like that, I try everything and then feel sick the next day! This morning my sister and I had an early breakfast, I did a mild ab and arm workout in my room (pushups, situps, a few planks, squats) I went into work. 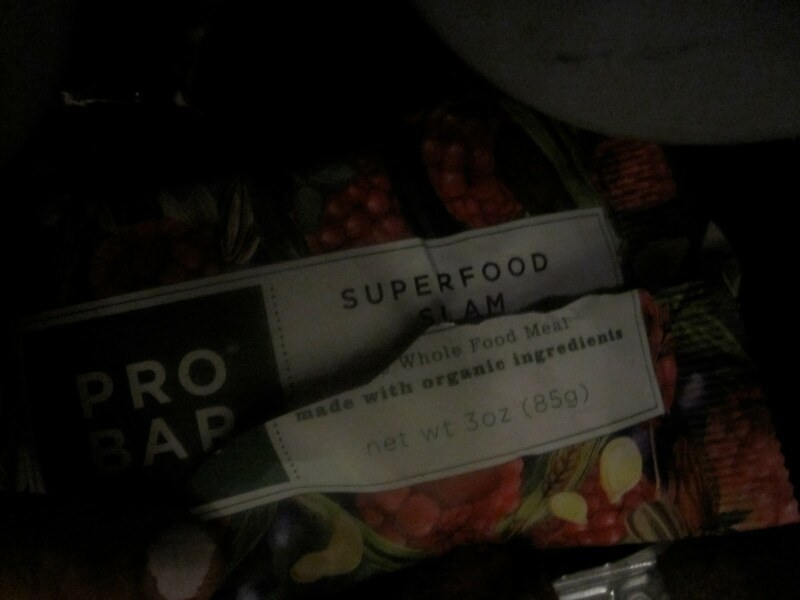 I decided that because I was only working for four hours today I didn’t need a lunch break, so I packed a Superfood Slam ProBar to eat on the fly while I worked. Back when I worked in a bar last summer in New York, I relied on these as a wholesome meal replacement. They’re all natural, vegan, and stuffed with nuts and fruit. This one in particular had dark chocolate chips in it! I also ate a peach. After coming home and snacking on one of the sample packs of Annie’s Bunnies (Cheddar! Amazing!) and a few bites of Canteloupe and two Cheddar Combos, I hit the elliptical for an easy 30 minutes, showered, then fixed my dinner. I LOVED the texture of the tempeh after it was baked! It gave the tempeh a crunchy texture almost like eating bread crusts (the best part of any bread). 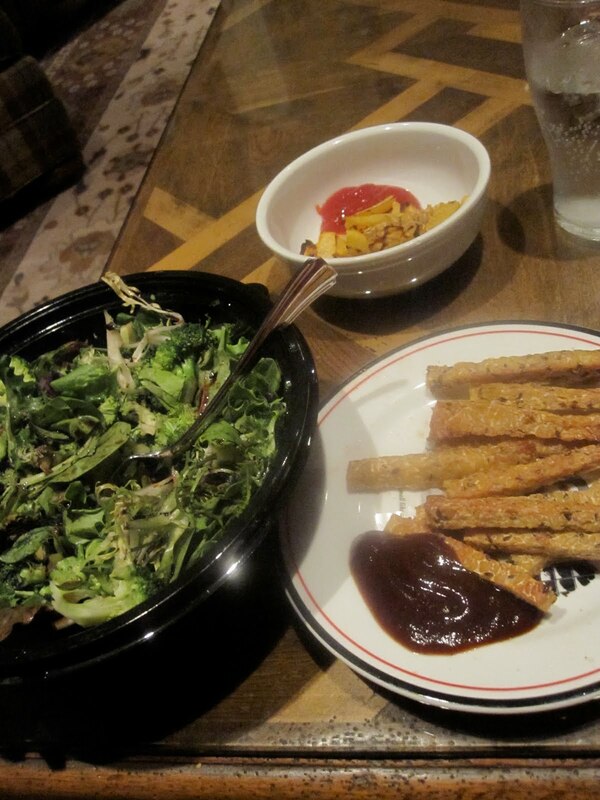 And the rutabaga fries were just as good the second time around, if a tad underbaked.